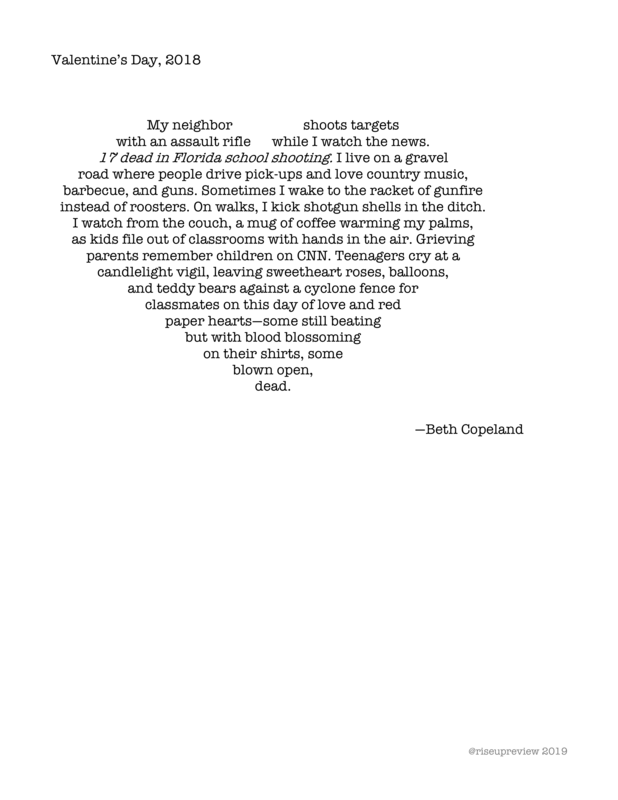 Beth Copeland is the North Carolina Poetry Society’s 2018-2019 Gilbert-Chappell Distinguished Poet for the central counties. She is the author of three full-length poetry books: Blue Honey, recipient of the 2017 Dogfish Head Poetry Prize (The Broadkill River Press 2017); Transcendental Telemarketer, recipient of the runner-up award in the North Carolina Poetry Council’s 2013 Oscar Arnold Young Award for best poetry book by a North Carolina writer (BlazeVOX books 2012); and Traveling through Glass, recipient of the 1999 Bright Hill Press Poetry Book Award (Bright Hill Press 2000). Her poems have been published in numerous literary magazines and anthologies and have been featured on international poetry websites. She has been profiled as poet of the week on the PBS NewsHour website. Beth teaches creative writing at St. Andrews University.